The point of most ice breaker games is to encourage participants to get to know each other on a deeper level. But whether you want to improve the dynamics of the group long-term or just have a good time on the day, games that help people feel less inhibited can work towards achieving that goal. It doesn’t matter if you are working with a group of corporate professionals, new mums or bored teenagers – the important thing is to get the group working in a positive group dynamic from the very start. Ice breaker games called “deinhibitisers” are the best way to achieve that goal. The goal of ice breaker games that make people feel uninhibited are to peel away the superficial outer lawyers that stop people from interacting with each other easily, and let them see the real person underneath. That means encouraging them to talk about something personal or meaningful, helping them to make friends with another person or group, or having them just act plain silly! Everyone has to pretend they are lost on a deserted island, then describe in detail what top three objects/people they would bring with them and why. Encourage people to be creative and don’t make them stick to rigidly to realistic ideas: they can bring a piano, for example. Sounds simple but a good way to get to know more about someone in a short period of time, and when people feel that others know and like them, they are more likely to open up more. This will only work if the group leader has access to the members beforehand. Ask each one to bring in a baby or toddler picture of themselves, but don’t explain why. When they all arrive together, have them put the photos in the middle and stage a mini-exhibition. Group members will have to guess who is who – and the sillier the photo the better. When everyone has correctly guessed the group member from the photo, have everyone stand up and recount a memory the photo evokes. It could be anything from “I hated that pink dress my mum made me wear,” to “Supposedly I used to love that toy car but I don’t even remember anything about it now.” A good way to break the ice. 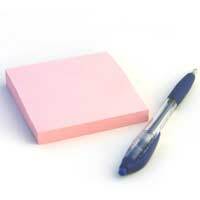 Get a pack of Post-it notes, and write one name of a well-known personality one side, such as “David Cameron” or “Napoleon”. Each person will be able to ask the group ten yes or no questions only to guess their own identity. Can be hilarious! Write down a list of silly questions, then have each group member pick a question out of a hat and answer the questions as honestly as possible. Funny questions could include: Would you have a tattoo done on a body part, and which one? What’s the most hilarious pick-up line you have ever used, or had used on you? What’s one funny characteristic about you? What is the naughtiest thing you have ever done? Every person has a piece of paper stuck to his or her back, and the group members all have to write down one first impression that person made on them when they first walked in – hopefully something bright and witty. The list is then read out to the group. Ask everyone to stand together in a circle, then have each group member put their hand in and grab hold of someone else’s hand. The goal is to unravel the knot whilst still holding onto other people’s hands. Hard to feel shy when you have just spent five minutes holding onto someone! Everyone is given a piece of paper and a pencil, then told to write down two facts about themselves and one lie. They have to read them out loud, and have the other members of the group guess which one is the lie. This ice breaker is a great way to encourage people to open up and let people know more about them. Ice breaker games that encourage people to either open up about themselves or relax enough to do something silly without worrying about the consequences are the main goals of ice breakers to make people feel less inhibited. Which type of game you choose will depend on the dynamics of the group involved, but remember that ice breakers only work when people feel they are in a safe and comfortable environment. If you force people to take part or if participants feel they will be ridiculed for opening up to others, then your goal will have the opposite effect.